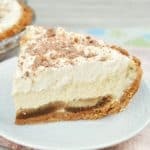 Tiramisu Pie is silky smooth and extra special with a moist “extra” crust and makes the best dessert or tea-time treat – One of my most requested desserts ever ! I have been craving a Tiramisu Dessert for weeks and finally decided to bake this Tiramisu Pie (which is most delicious and ever so addicting) again after a couple of months have passed since I baked the first one. 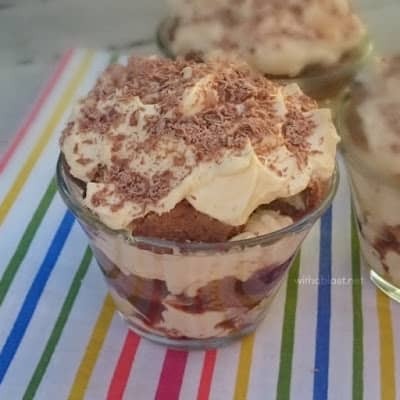 The kids were both home all week, and all of us agree that this is one of the best versions of a Tiramisu we have ever tasted. This Pie truly tastes like a little piece of foodie heaven and I should really start making it more often, seeing as the kids now also had a taste. The filling is silky smooth and the extra layer of Coffee/Brandy soaked Ladyfingers, makes this Pie really special. Your guests would be well pleased with a slice – or two ! 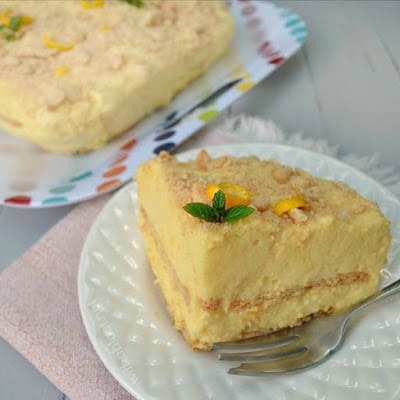 Because of the Cottage Cheese I use, it is also a very light dessert and is perfect to enjoy after a rich meal. Just a little something to end off a good dinner, and most definitely suitable during warm weather when you only want a light sweet treat. As with all, if not most, Tiramisu desserts, this Tiramisu Pie only gets better the longer it stands. Only reason I know, I baked it once and served the Pie a couple of hours later. But the second time I baked it the night before. We only had the Pie for dessert the following evening – so, so much better ! 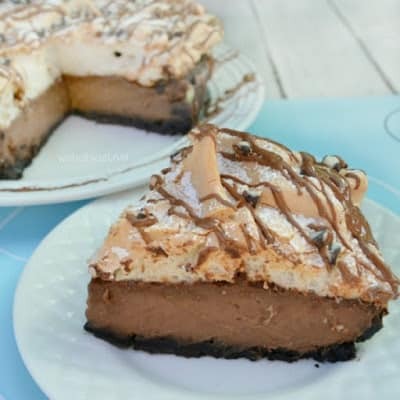 Tiramisu Pie is silky smooth and extra special with a moist "extra" crust and makes the best dessert or tea-time treat - One of my most requested desserts ever ! And last but not least – something for camping ! Wow what a fun twist! I love this dessert. This is just a fabulous idea to incorporate the flavors and textures of Tiramisu into a pie. Ohhhhh! I'll take a huge slice please! 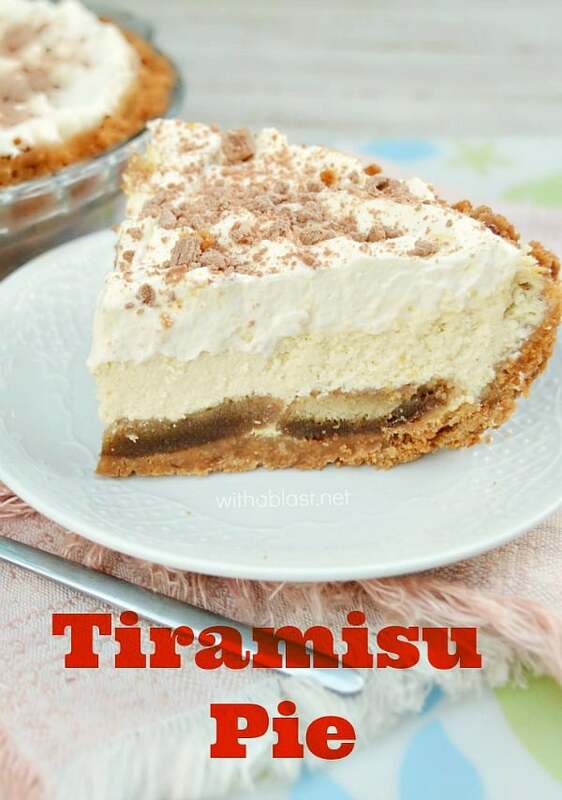 Tiramisu is one of my favorite desserts and I just have to try this pie!! Great job! Pinning! Wow this sounds good. I've never heard of a tiramisu pie before. This looka incredible…I can see why it is addictive. I love tge use of cottage cheese in this one. Yummy! 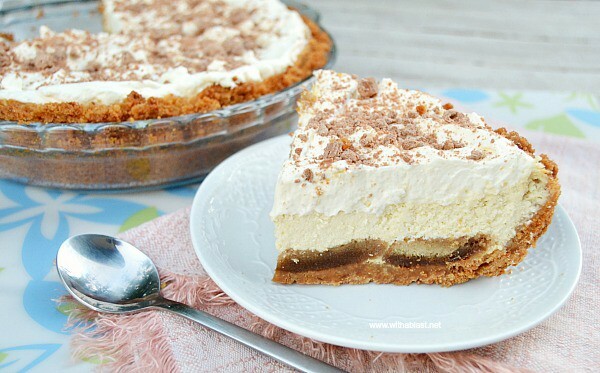 I absolutely love the idea of doing tiramisu as a pie!